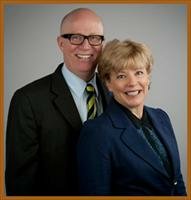 Anne Daily and Joe Herbert are the listing and showing agents for your property. Our job is to get to know the wants and needs of our clients and keep up with market inventory. We will be making marketing calls for your property every day, looking for potential buyers. We will meet with potential buyers to gain a full understanding of their needs and match those to the features and amenities offered by your property. We will then search those homes that fit the buyer’s criteria, always showing your home first. We consult with our team daily on the latest market updates. Our marketing knowledge, sales skills, and positive attitude make them valuable to you. Anne, Joe, and their exceptional sales team of real estate professionals take care of all marketing for your property, including listing coordination and advertising tools, as well as any unique campaigns that we create and design on an as-needed basis to suit your individual needs. Anne Daily has a B.A. in Communications Studies from Sacramento State University and spent a year in Heidelberg, Germany studying with Pepperdine University. She has been a successful real estate agent in the Sacramento region since 1989. Joe Herbert has a Master’s Degree in Accounting from Northeastern University in Boston and a B.S. in Geology from Hobart and William Smith Colleges in New York. After 20 years as a real estate consultant, he became a licensed agent in 2004.